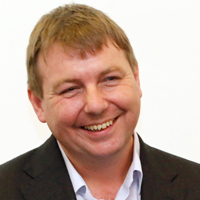 Danny Dorling joined the School of Geography and the Environment at Oxford in September 2013 to take up the Halford Mackinder Professorship in Geography. He was previously a professor of Geography at the University of Sheffield. He has also worked in Newcastle, Bristol, Leeds and New Zealand, went to university in Newcastle upon Tyne, and to school in Oxford. Recent sole authored books include, So you think you know about Britain and Fair Play, both in 2011; in 2012 The No-nonsense Guide to Equality, The Visualization of Social Spatial Structure and The Population of the UK; Unequal Health, The 32 Stops and Population Ten Billion in 2013; All That is Solid in 2014; and Injustice: Why social inequalities persist revised in 2015.